Our commitment to providing the best real estate services possible has made us a leader in this area since 1976. 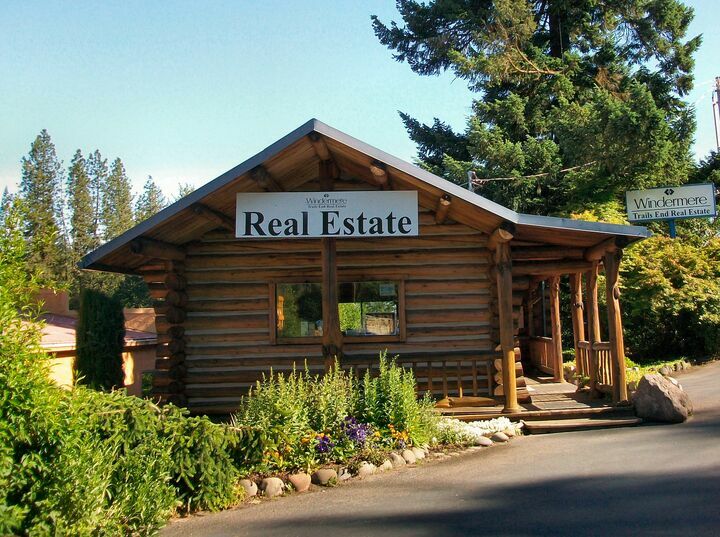 We understand the uniqueness of the area and the nuances of the homes here – from riverfront properties to vacation homes, log homes, ranches, commercial properties and more. This experience is critical in today’s market. Whatever your real estate needs, we can help you reach your goals with confidence. Contact your local HOMETOWN Realtors today so that we can put the power of Windermere to work for you. Thank you so much Mike Coble and everyone at Windermere Trails End. Everything was smooth, prompt and reliable. I will definitely be recommending you in the future. Your communication and information was always spot on, we were never left to wonder what was happening. You take very good care of your clients. Customer service is very important to us and you rocked it. Thanks again and we will use you in the future for all our real estate needs. "We have known and worked with Debbie Drolette off and on since 2009. Throughout the years we have bought and sold homes and properties with Debbie as our agent. She has consistently proven to be knowledgeable, professional, and extremely helpful in finding just the right house or property for us, as well as steering us through the sales process. In addition, she has proven to be very patient, as we have historically taken a lengthy period of time to make decisions. However, our most recent sale and subsequent purchase of a new home occurred in a frantic whirlwind, but Debbie managed to calmly steer us through both processes. I don't believe we would have made it through successfully without her. We consider her a trusted friend and advisor." "Mike Coble was fantastic. Very professional and caring at the same time. I texted him about an issue not realizing he was on a short vacation with his family. No problem though. He took the time to answer my questions. Even after the sale was done, Mike went above and beyond by going out to our remote property to check on my sister. We already have and will continue to recommend your company and Mike Coble." "We have worked with Mike Malepsy for both buying and selling our property. We appreciated his honesty and integrity. He was able to represent both buyer and seller fairly and definitely went the extra mile for us as the seller. Also his staff was always very helpful and on top of what was going on. Thanks Mike for your professionalism and friendship." "I am a first time homebuyer and Laurie walked me through the whole process, she was great! If I ever need her again, I know she’s there and she’s right on it! Thank you so much…we love our new home!" "I was moving across country and asked Ashley Weakley to help me with purchasing a new home in Oregon. I couldn't be more pleased with my decision. Although I was 3000 miles away she was able to do live video tours of homes with me so I could see the homes "in person" before buying. She was able to answer every weird and crazy question I had along the way and made this whole experience a lot easier than I thought it would be. I'm not great with computers, but she was able to walk me through signing things online which was a new experience for me, but certainly made things easier. This was my first home purchase in 33 years and Ashley made it so enjoyable when it felt terrifying to think about at times. Her professionalism and attention to detail were exceptional and she was able to get things done quickly and in the time frame I needed. If I ever need to buy/sell a home again I will definitely use Ashley and I would recommend her to all my friends and family. Thanks for a great home buying experience." "Laurie Barber was wonderful to work with during this process. She is knowledgeable, always made herself available, and took care of everything for us. She is diligent, understands the hassles of moving, and is willing to do anything asked of her. Laurie has a great disposition; she's friendly, open, and has a great sense of humor, which always helps during stressful times. I highly recommend Laurie." Why do we love Southern Oregon? Endless year-around recreation – fishing, rafting, hiking, camping, skiing, snowboarding, mushroom hunting, berry picking; gourmet food, craft beer & wine…what’s not to love? Below is a list of some of our favorite things to do in the Rogue Valley, we know you’ll come to love them too. Contact us for a free, no-obligation CMA!